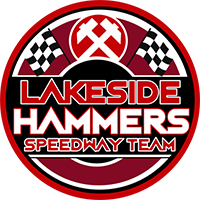 Lakeside face a 14-point deficit after the first leg of their KO Cup quarter-final having lost 52-38 at Peterborough on Sunday. Bradley Wilson-Dean 12+1, Emil Grondal 9+1, Simon Lambert 8, Ben Barker 7+3, Michael Palm Toft 7+2, Jordan Stewart 5+2, Ulrich Ostergaard 4+2. Adam Ellis 14, Richard Lawson 11+1, Aaron Summers 7, Alfie Bowtell 5, Broc Nicol 1, Ben Morley 0, Kyle Newman r/r. 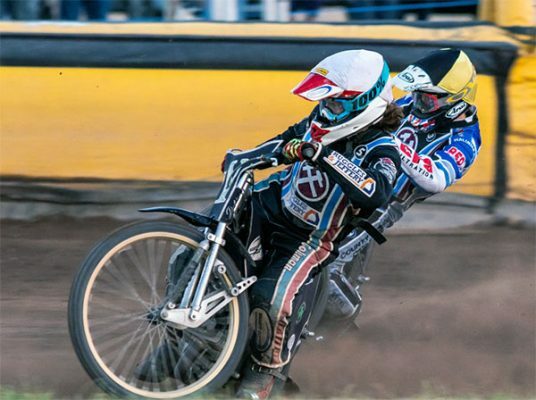 Image: Richard Lawson & Adam Ellis in action Credit Steve Hone.